The garlic cutter from Genius convinces with innovation and functionality. Instead of pressing the garlic, it is cut into identical cubes by simply turning the device. This keeps the taste of the garlic. If the clove of garlic is not needed completely, it stays in the cutter. 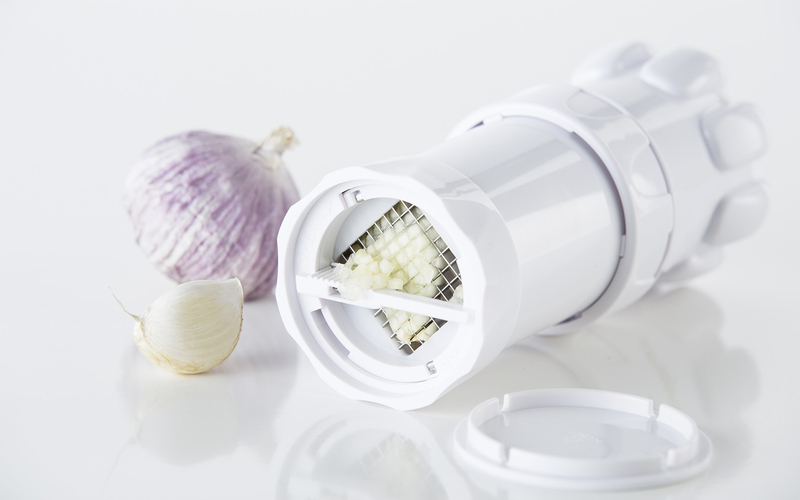 The aroma-proof lid protects the taste and the garlic can be stored in the fridge. The garlic cutter can be cleaned in the dish washer.